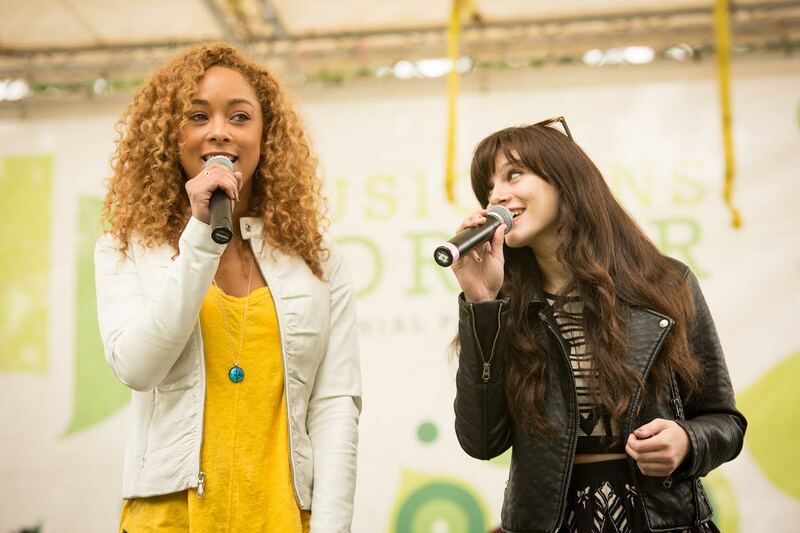 Nashville’s Chaley Rose and Aubrey Peeples at Musicians Corner on September 13, 2014. What do Justin Bieber, Sheryl Crow, Keith Urban, The Civil Wars, Jason Aldean and blue collar comedian Ron White have in common? They’ve all signed the same guitar for Musicians Corner, the growing non-profit that puts on free concerts in Nashville’s Centennial Park every spring and fall. On October 7, Musicians Corner will host an online auction of autographed guitars, concert tickets and meet and greets to raise funds for its programming. The growing concert series has featured artists like Emmylou Harris, The Blind Boys of Alabama and Vince Gill, but it’s mainly a showcase for some of the best emerging artists in town, from Erin McCarley to Matthew Perryman Jones. Other stars who’ve signed guitars for Musicians Corner include The Avett Brothers, Kenny Chesney, Brad Paisley, Dolly Parton, Stevie Wonder, Jackson Browne, and Lady Antebellum. You can also bid on two tickets and a meet and greet with James Taylor for his November 9th concert at the Bridgestone Arena, or tickets and a meet and greet with Trampled By Turtles for their upcoming show at the Ryman Auditorium. Head to www.charitybuzz.com to check out the goods, and don’t miss the current season of Musicians Corner, which runs every Saturday afternoon between now andOctober 25. Come for the free music and stay for the food trucks, beer garden, Kidsville and Dogville.